Rumor has it that the World Bank is on its way back to Pakistan with a bagful of loans, together with plans for how we must spend the money. A major focus of the Bank’s efforts will be higher education reform. No one doubts the desperate need for reform of Pakistan’s education sector, or the need for assistance, especially since we have shown little capacity to fund or plan our education ourselves. But recent experience suggests the Bank’s help may be a poisoned chalice. If it is to be otherwise, the Bank will have to avoid local snake charmers and be more skeptical of what bureaucrats and ministers claim. Said to be the world’s biggest research institution working on developmental issues, the Bank employs thousands of technical people at its Washington headquarters and abroad. Typically, a highly paid World Bank team of experts, trained in the use of sophisticated mathematical and statistical tools and report writing, is parachuted into a Third World country. They could be charged with fixing broken down systems of education, healthcare, agriculture, or electricity. But although its researchers and team leaders are often accomplished individuals, experience suggests they are not adequately equipped to understand the complexity of local issues. As important, the Bank depends on government agencies and cannot easily bite the hand that invites it in and provides access. The Bank’s limitations are exposed by how it allowed itself to be systematically deceived in its mission to promote and support reform of higher education in Pakistan. For six years, Pakistanis heard endless stories of success about the revamping of their universities under the leadership of the Higher Education Commission and its celebrated chief, Dr. Atta-ur-Rahman. With a record-smashing 12-fold increase in the HEC’s funding ordered by Gen. Musharraf’s government, new universities popped into existence almost every other month. Production of PhD’s and research papers shot up. It seemed obvious that things were improving. At least that’s what HEC and the World Bank said. A 2006 World Bank report on the HEC’s performance, issued by a team led by Benoît Millot, reads like a paean to the HEC. Written in impeccable English, and embellished with impressive charts and diagrams, this 109-page report finds no fault, nor questions any assumption of the-then prevailing authorities, and proclaims that “HEC has placed quality improvement of the higher education sub-sector at the centre of its agenda”. No surprise then that the report was widely quoted by the HEC as evidence of its achievements and used to demand yet more money for HEC schemes. Everything dovetailed perfectly: the Bank wanted to lend and the HEC to spend. But now as the bitter truth gradually seeps out, the HEC’s alleged accomplishments are fading away. Today, in spite of sporadic newspaper items planted by the HEC’s former chairman, the consequences of arbitrary one-man decision making, deliberately exaggerated or invented numbers, and plain sloppy thinking are becoming apparent. The construction of university buildings has been frozen leaving them half-completed. Fantastically expensive research equipment litters the country, much of which is unused. It has been abandoned by even those who insisted on their import. Vice-chancellors are panicking over unpaid salaries for faculty and staff. Thousands of desperate Pakistani students sent overseas have received no scholarship money for months. Until they were cancelled a few weeks ago, many of HEC’s hugely expensive but shoddily planned projects – such as building nine new Pak-European universities – had been furiously sucking resources away from real needs. Academic quality may be an even bigger casualty. Driven by huge cash incentives to mass-produce PhD degrees, university teachers have banded together across campuses to fight tooth and nail against every attempt to enforce genuine academic standards on Ph.D. graduates. Fearful of losing their bonuses, they oppose setting a reasonable pass mark for the Ph.D. exam, the internationally recognised GRE subject test. They know many of their students would fail, even though these students are now allowed to take the test even at the end of their studies. In China, India, and Iran, students take this exam as part of getting admission to a PhD programme overseas – and do immensely better. Then there is research. The HEC claimed that, prior to the launch of its programs, annual research publication rates in universities were very low. It says, for example, that Quaid-e-Azam University published only 631 research papers between 1998-2003. But, after the HEC’s chairman started his cash reward-per-paper program, the number of research papers shot up to 1482 in the 2003-2008 period, a 235% improvement. But, all serious academics know that what matters is not how many papers are written but how good these papers are. A standard measure of a paper is how many times other academics refer to it in their own papers. According to the International Science Citation Index, the total number of times the research papers published in the 1998-2003 period were cited by other researchers (excluding worthless self-citations) was 2817. But, in the 2003-2008 period the citation count was a mere 1258. The message this sends is loud and clear – producing more papers does not mean more useful knowledge is being produced. The fact is that for years numbers were twisted around and no one noticed, including the World Bank. What’s worse is that the Bank did not even bother to check. Its trained and intelligent observers could have easily investigated several of the HEC’s claims without even stirring from their desks. All they would have needed is a good internet connection, and access to standard science citation indexes. Rather than simply sign off on HEC claims that it had worked miracles, the World Bank could have undertaken its own study. It could, for instance, have looked for evidence of improvement in university teaching quality (rather than a mere increase in enrollment). To do this scientifically it would have needed to work out the parameters that define teaching quality and then gathered the relevant data. This might have involved establishing some reasonable metrics for gauging the quality of the faculty and student body, assessing the state of library and laboratory facilities, the content of university courses, the standard of examination papers, the presence (or lack thereof) of academic colloquia and seminars on campuses, the suitability of those appointed as vice-chancellors, the number of days in a year that the universities actually function, satisfaction of employers with university graduates, etc. But there is no sign that the World Bank bothered to do this groundwork. At least, having searched available databases, I could find none. If the Bank is again going to try support higher education reform in Pakistan, it needs to be more serious. It must focus on quality and demand greater accountability. What Pakistan needs from the Bank is help for improving the dilapidated infrastructure (buildings, libraries, laboratories) of ordinary colleges where the bulk of Pakistani students in higher education study, not more half-baked universities. Mega-sized projects for producing qualified junior faculty for universities and colleges are badly needed. The importance of quality teaching in colleges and universities must be emphasized, not meaningless publications and more junk Ph.D. degrees. Better institutional governance and ethics is the key. Encourage this and the rest will follow. This article was first published in Dawn, 18 January 2009. 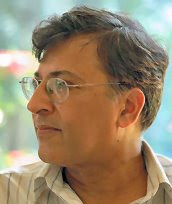 Riaz Haq's Note: While I respect Dr. Hoodbhoy immensely and value his opinions greatly, I do think that his criticism of Dr. Ata-ur-Rahman is overdone in Pakistan's context. In my humble opinion, it's not all doom and gloom in Pakistan. For the first time in the nation's history, Dr. Rahman succeeded in getting tremendous focus and major funding increases for higher education in Pakistan. According to Sciencewatch, which tracks trends and performance in basic research, citations of Pakistani publications are rising sharply in multiple fields, including computer science, engineering, mathematics, material science and plant and animal sciences. Over two dozen Pakistani scientists are actively working on the Large Hadron Collider; the grandest experiment in the history of Physics. Pakistan now ranks among the top outsourcing destinations, based on its growing talent pool of college graduates. As evident from the overall results, there has been a significant increase in the numbers of universities and highly-educated faculty and university graduates in Pakistan. There have also been some instances of abuse of incentives, opportunities and resources provided to the academics in good faith. The quality of some of the institutions of higher learning can also be enhanced significantly, with some revisions in the incentive systems. But overall, I would have an Ata-ur-Rehman in charge of education rather than Mir Hazar Khan Bijrani, the current education minister. There are a number of success stories but let us be clear that people succeeded in their academic pursuits not because of the institutions they graduated from in Pakistan but in spite of it. I would agree that the real exceptional geniuses succeed anywhere in the world, spite of the systems. It's often argued that such bright people are in fact held back by the systems. However, the changes in Pakistan are broad and deep to be individual or accidental. As reflected in the numbers, many more Pakistani research papers are being cited by foreigners (Sciencewatch) and Pakistan has the distinction of the being #1 in the world for developer outsourcing (oDesk)or dozens of Scientists working at CERN on LHC, etc. It seems that higher education a long way under Dr. Atta-Ur-Rahman's leadership, the first well learned minister of education and HEC chairperson. Most of his students are well placed all over the scientific community worldwide, that speaks for itself for his research capabilities. As a student of his department, HEJ I am really impressed with what he did to take the higher education from zero to a respectable height in a relatively short period of time. I remember my days as Ph.D student when lack luster officials of university grants commission were sitting to draw salaries and wasting time-basically doing nothing. His critiques on the other hand have done nothing to promote science and education in Pakistan, except of course critisizing and downplaying his acheivements-I think I can mention one name in this blog. Unfortunately he was or will be replaced by a political appointee who more likely will be a thumb-impressionist like several previous minister of education in Pakistan. To cut story short there needs to be a better system of education in Pakistan, which must be described by competitive and rationale criterion. In order to do that system needs to be run by educated people. Students in India are protesting against the government's decision to strip 44 places of learning of their official university status. The move follows a review which found the institutions were unable to provide proper educational facilities. Nearly 200,000 students are enrolled in such establishments across India. The government has said it will take steps to ensure the decision does not jeopardise the future of students currently studying at the universities. The move sparked angry protests. Students at the Savita School of Engineering in the southern city of Madras (Chennai) smashed furniture after hearing of the government decision. Students say they are worried the order will affect their future prospects, but the authorities sought to reassure them. "We will take care of all students who are in those 44 universities. The government's intention is to make sure not a single child will be affected," said federal Human Resources Development Minister Kapil Sibal. His ministry, which looks after education, says the decision is based on recommendations made by a special task force. "The review committee came across several aberrations in the functioning of some of the institutions deemed to be universities," the government said in a report to the Supreme Court on Monday. Most of the 44 universities concerned offer post-graduate and undergraduate courses. They include three government-sponsored institutes, including the Nava Nalanda in Bihar, the National Museum Institute of the History of Art, Conservation and Museology in Delhi, and the Rajiv Gandhi National Institute of Youth Development in Sriperumbudur in the southern state of Tamil Nadu. India's government has approved a plan to allow foreign universities to set up campuses and offer degrees in India. The proposal, which needs to be ratified by parliament, is expected to benefit thousands of Indian students who head abroad to study. India is reforming its higher education system after concerns that it faces a shortfall of qualified graduates. Every year thousands of English-speaking Indians head to countries such as the US and Australia to study. Despite having top quality educational institutions, India is unable to meet the demand for a quality education, the BBC's Sanjoy Majumder in Delhi says. Some analysts project that India's growing economy will face a shortfall of half a million qualified graduates over the next five years. Federal Education Minister Kapil Sibal described the bill as "a milestone which will enhance choices, and increase competition and benchmark quality". If parliament approves the law it could see universities such as Harvard and Oxford set up institutions in India. It is thought leading foreign universities could be attracted by India's large number of English speakers and its burgeoning middle class. India has allowed foreign investment in education for a number of years, but foreign institutes have not been permitted to grant degrees. The bill had been opposed by some political parties, particularly those from the left, on the grounds that it will benefit only elite Indians with poorer students unable to afford to pay high fees. In addition, there is $1 billion in federal grants before offered to biotech firms under the new healthcare bill.